Carlos is the man behind Avion in Entourage’s seventh season. Alex tips him off to the fact that Turtle is good friends with Vince Chase which prompts Carlos to invite Turtle to Mexico to discuss a spokesmanship deal. 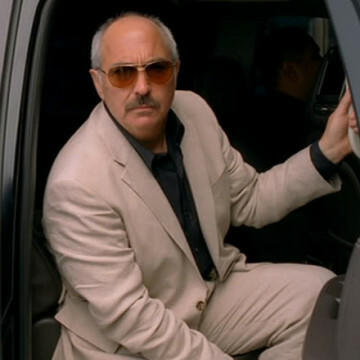 Carlos (who is in no way involved with the real-world Avion brand) is played by Miguel Sandoval and appears in a total of five Entourage episodes. He makes his final appearance eight minutes into the third episode of the show’s eighth season.